There will be plenty of competition in Nevada’s backcourt next season, despite losing three senior guards from this year’s basketball squad. 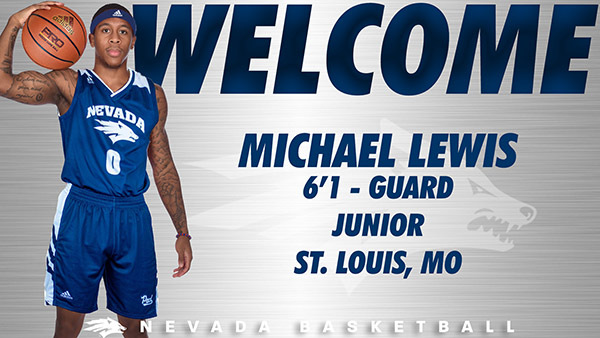 Shooting guard Michael Lewis II, who led Duquesne in scoring during his freshman and sophomore seasons, is transferring to Nevada, the Reno school announced today. He left the school from Pittsburgh in December after he lost his starting job. Lewis will be eligible to play his senior season at the conclusion of the 2019 fall semester. A native of St. Louis, Lewis, 6-foot-1, 185 pounds, started 72-of-76 games in his two plus seasons at Duquesne and led the Dukes in scoring each season. As a freshman, he led the squad averaging 14.1 points per game and once again led the Dukes scoring 14.4 points per game his sophomore season. In 76 games at Duquesne, he averaged 12.9 points, 2.1 rebounds and 1.1 assists per game. From the field he shot 39.6 percent, 36.1 percent from behind the arc and 82.2 percent at the free throw line. In 12 games this season he was averaging 5.6 pointers per game starting 11-of-12 contests. He is 21 points from scoring 1,000 points in his college career. As a freshman, he was named to the Atlantic 10 All-Rookie Team after scoring in double figures a team-high 24 times. In 13 games he topped DU in scoring and nine times scored 20 or more points in a game. Lewis is from St. Louis and played at Chaminade College Prep, where he averaged 9.9 points, 2.2 rebounds and 1.7 assists per game for a 27-5 Class 5 state champion Red Devils his senior year. Four members of the squad went on to NCAA Division I schools. The eligibility for Nevada’s three starting guards, Cody and Caleb Martin and Corey Henson, expires at the end of the season. Shooting guard Jazz Johnson, the Wolf Pack’s third leading scorer, will return for his senior year, along with Nisre Zouzoua. Former starting point guard Lindsey Drew, who ruptured his achilles tendon last season, is mending from double hip surgery and would be a redshirt senior next year. Transfer guards Jalen Harris (Louisiana Tech) and JoJo Anderson (Northern Arizona) are on the practice squad and will be eligible to start their junior seasons next fall. Guard/forward Eric Parrish also will join the Wolf Pack after he finishes his sophomore year playing junior-college ball in Louisiana. He played his freshman year at Akron of the Mid-American Conference. Power forward Shamiel Stevenson has also transferred to Nevada and will be eligible for his junior year after the fall 2019 semester concludes. He began this season playing in the same city as Lewis, but for a different school, Pittsburgh of the Atlantic Coast Conference.